This report was undertaken on local, regional, state and federal levels in the United States to analyse the impact residuals have on environmental quality and to emphasise the need for Residuals- Environmental quality management (REQM). 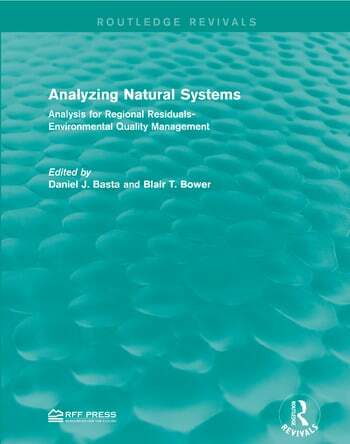 Originally published in 1982, this study brings together information on approaches for analysing natural systems and which factors to consider when choosing an approach. This title will be of interest to students of environmental studies as well as professionals and policy makers.